Being a Christian isn’t just an indoor activity. Here are seven reasons why everyone – yes everyone – who have chosen to follow Jesus should share the Gospel about Him in public areas. 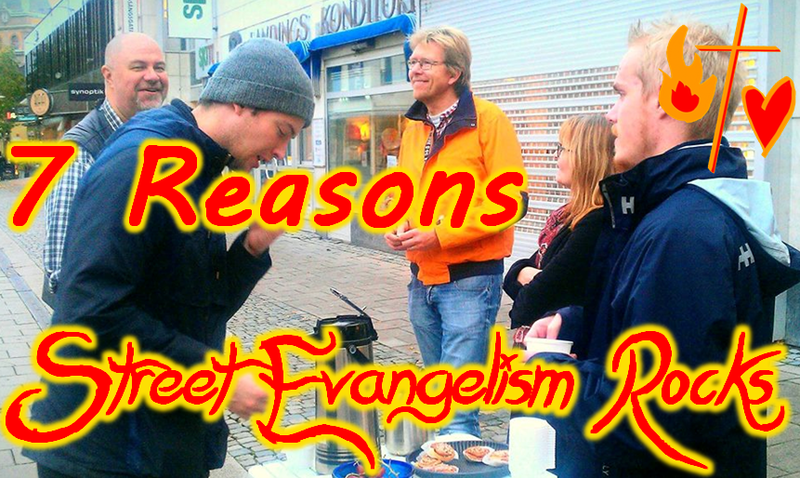 Check out the Biblical foundation for why churches should view street evangelism as mandatory meetings just like Sunday services. And here’s a description of how my own church does this in practice. By Micael Grenholm in Evangelism & Missions on March 28, 2015 .